Realtor Irene Guanill Elukowich testified before the County Board of Legislators recently in factor of the co-op transparency bill. 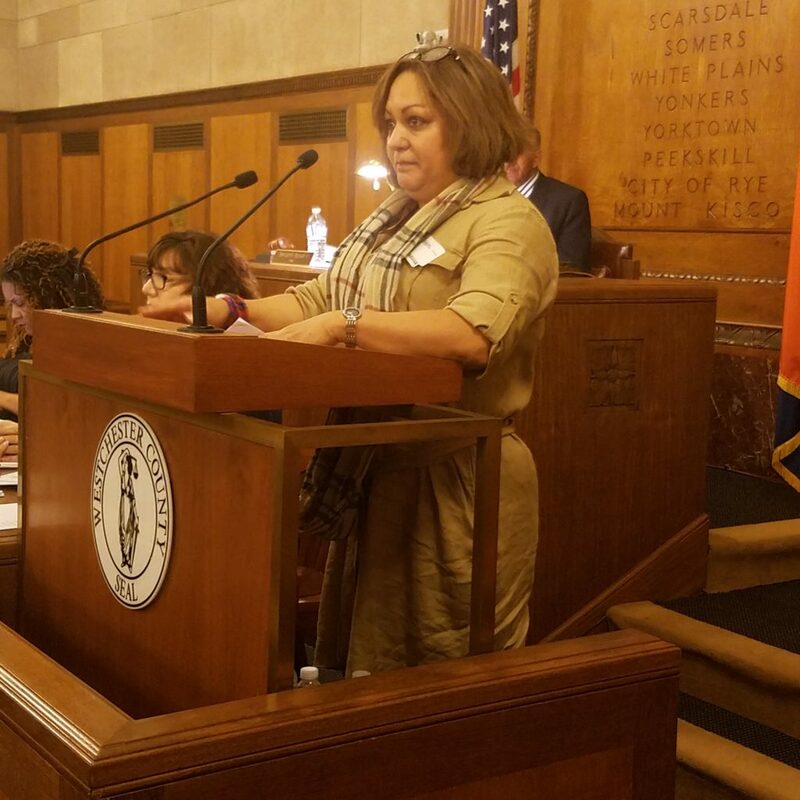 WHITE PLAINS—The Hudson Gateway Association of Realtors secured one of its more significant legislative victories in years on the evening of Nov. 19 when the Westchester County Board of Legislators overwhelmingly approved a compromise co-op transparency bill. The bill will establish new rules to make the cooperative sales process faster for buyers and sellers and to help combat discrimination. The measure was approved by the Westchester County Board of Legislators by a 13-4 margin. The passage of the bill marks a major milestone for HGAR and its predecessor associations in what has been a more than two-decade long battle to bring reform to the cooperative purchase process. The New York State Association of Realtors will once again have passage of statewide co-op disclosure legislation as one of its top legislative priorities in the 2019 legislative session in Albany. Earlier this year, Rockland County passed a co-op reform bill that requires a co-op board to provide written notice to the applicant of its decision within 45 days of the receipt of a fully completed purchase application. If the co-op board fails to act on that application within the mandated 45-day period, the application will be deemed approved. Suffolk County passed a cooperative reform bill in 2009. Under the new Westchester County legislation, cooperative boards of directors will have 15 days to notify buyers whether or not their applications for purchase are complete. Once an application is deemed complete, boards will have 60 days to accept or reject the application. If an application is rejected, the co-op board must send a notice of the rejection to the county’s Human Rights Commission, which has the power to investigate instances of discrimination under the county’s Fair Housing Law. After considerable debate and input from HGAR and proposal opponent the Building and Realty Institute of Westchester & the Mid-Hudson Region and affiliates, the original bill was recently amended. HGAR officials, while noting that the bill did not include all of the reforms they originally sought, were in unison that the measure will improve the cooperative transaction process for consumers and Realtors. 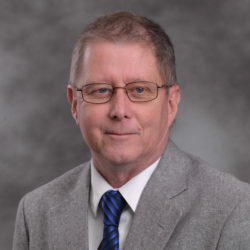 HGAR President Barry Kramer said the co-op transparency bill is a “step in the right direction” to help remedy problems that currently exist in the co-op sales transaction process. He said that if County Executive Latimer signs the legislation into law, the benefit to the real estate industry and to consumers will be a quicker sales process. “I believe it will make co-op boards think twice before they give a rejection because right now there is no accountability at all,” Kramer said. Haggerty said the push to advance co-op transparency in Westchester County was a “team effort” led by HGAR President Kramer, Legislative Council Co-Chair Leah Caro and RPAC Co-Chair Dorothy Botsoe. Weiden also stressed that the legislation is a major victory for Realtors and was the result of the normal give and take that occurs when crafting and advancing legislation. Bill co-sponsors Christopher A. Johnson (D-Yonkers) and Catherine Borgia, (D-Cortlandt, Croton on Hudson, Ossining, Briarcliff Manor, Peekskill) also believe the bill will bring measurable improvement to the cooperative sales process. Board Chair Ben Boykin (D-White Plains, Scarsdale, Harrison) noted that the final bill reflected a significant amount of community input that was developed over a long time period.